This Christmas novella tells the unforgettable story of little Timmy, a foster child with a very special and mysterious shoe box. Designed for gift-giving, this heartwarming book features new black-and-white illustrations, updated content-including Francine Rivers' favorite holiday recipes and Christmas traditions-and the complete Christmas story from the New Living Translation. 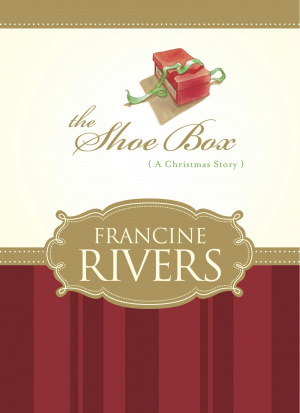 The Shoe Box by Francine Rivers was published by Tyndale House Publishers in October 2010 and is our 14778th best seller. The ISBN for The Shoe Box is 9781414338880. Be the first to review The Shoe Box! Got a question? No problem! Just click here to ask us about The Shoe Box.